AMERICAN PAVING CO. of NJ, was founded by Joseph LaMorgese over 30 years ago. 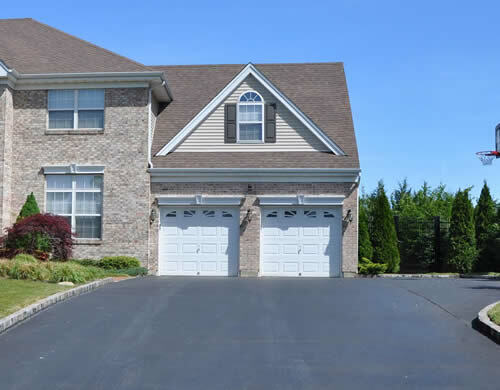 It has grown into one of New Jersey’s largest and most respected paving contracting companies – maintaining many full paving crews and servicing large commercial and industrial owners, as well as local. We are known for our exceptional craftsmanship in the asphalt paving business. We pride ourselves on providing top quality work to all of our customers and we strive for customer satisfaction and having repeat customers. Our success comes from being competitive in the paving industry and our ability to perform quality work for two generations. As a paving contractor, we offer many services to meet your paving needs. We offer services for repairing asphalt, new parking lots, concrete driveways, sidewalks, patios, concrete or Belgium block curbing and gutter, seal coating and line marking. ALL our work is guaranteed for a period of 1 year against any and all potholes or depressions occurring, as well as upheaval or rippling of asphalt. AMERICAN PAVING CO. of NJ, has been an area leader in the paving industry, specializing in new construction and repairs for both asphalt and concrete, since the 1950’s! Over the years, people throughout New Jersey have come to depend on AMERICAN PAVING CO. of NJ to provide the highest level of professionalism and quality service available anywhere in the industry. Regardless of the size of your job, AMERICAN PAVING CO. of NJ, is equipped with the manpower and expertise to get your job done on time and on budget! We are fully licensed & bonded and carry full worker’s comp insurance on all our employees. All our services are 100% Satisfaction Guaranteed!! We are members of the Better Business Bureau, Chamber of Commerce and the New Jersey Asphalt Association. Our primary mission is to put quality and customer care above everything else. We honestly believe that if we can do those things, we’ll be successful. Maybe that’s why some of the area’s best known companies, both large and small, rely on us. Our commitment to the highest quality workmanship and ethical standards, allows us to confidently say, you won’t get a better quality job anywhere. It’s not just a promise; it’s our way of doing business!